The Easireach II Standard reacher includes a magnet, dressing hook, stick clip and rubber lined jaw, allowing easy, effortless gripping and reaching. 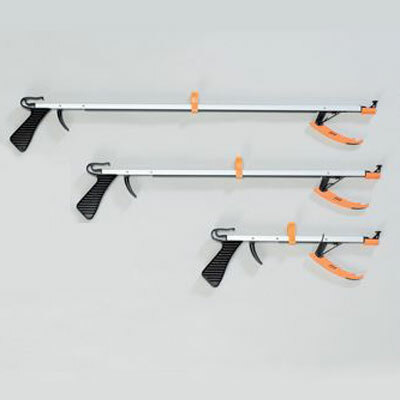 The Easy Reach Grabber is made from lightweight aluminium making it ideal for people with limited mobility. The reacher features a magnet, a hook for dressing, stick clip and rubber lined jaw, allowing easy and effortless gripping. There is a length of cord that runs through the tube, which operates the jaw when the trigger is pressed. The magnet allows the user to pick up small metal objects and the dressing hook is ideal for pulling clothing through button holes. 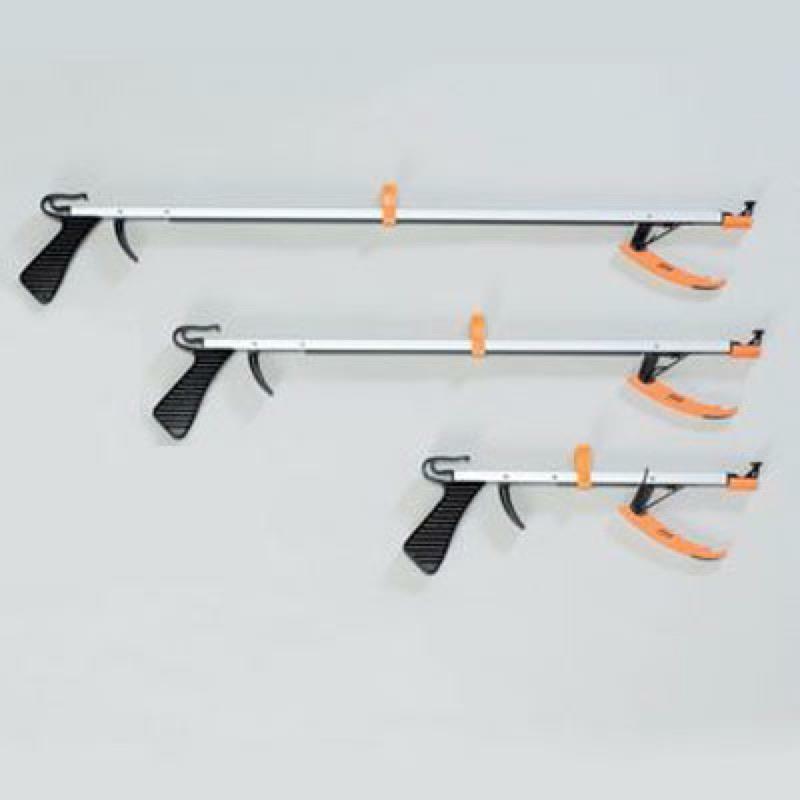 The easy reach grabber also features a clip that allows the reacher to be fastened to a stick or walker. Product Lengths 15, 21, 26 or 32"